The Helix Cognitive Service Management suite will run on AWS, Azure and Google, as well private clouds. 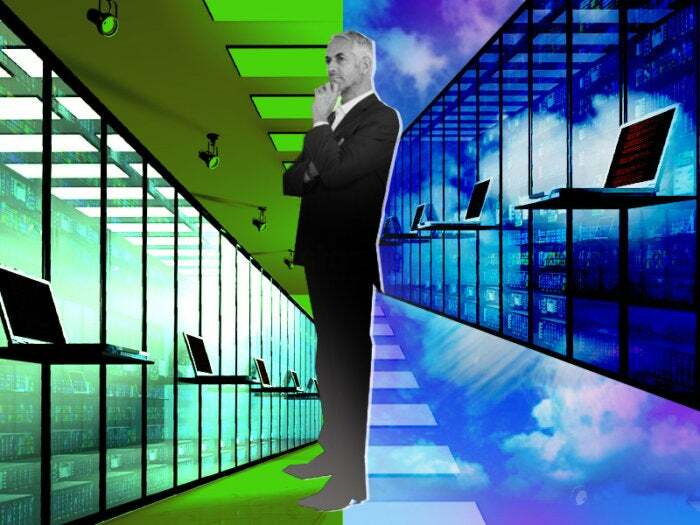 Many if not most large enterprises run hybrid computing environments and are looking for management software flexible enough to run in and manage assets across private and public clouds. Against this backdrop, BMC has rebuilt its venerable IT service-management product suite to run on a range of cloud platforms while incorporating machine learning to enhance predictive-analysis capabilities. The BMC Helix Cognitive Service Management is a software-as-a-service (SaaS) offering that runs on Amazon Web Services as well as BMC's own cloud. It will be available for Azure in the fourth quarter and for Google Public Cloud at the end of the year or beginning of next year, BMC said. The software is designed to manage applications, IT services and the infrastructure underneath those services. It's meant to help data-center personnel, developers and line of business managers request, provision, automate and optimize applications and services. BMC has retooled the software to support a container-based architecture, leveraging Docker so that the different modules that make up the suite can run on the different cloud environments. It supports Kubernetes in order to manage containerized applications. The company has developed its own machine-learning software and also tapped IBM Watson AI technology in order to power automated chatbot services and offer predictive analysis for various IT assets. BMC's road to reinvention started some years ago, around the time in 2013 when it transitioned from being a public to a private company with a $6.9 billion acquisition by an investment group led by Bain Capital and Golden Gate Capital. BMC was lagging behind competitors in moving to the cloud and companies like ServiceNow were starting to gain a reputation for offering more more modern, SaaS-based management products. The first step for BMC was to re-engineer its product suite as a SaaS-based offering, but until now its IT services management software did not run on public clouds. 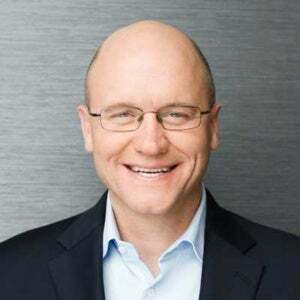 Bill Berutti is BMC's president of enterprise solutions. "We definitely had to play some catch up and now we're leapfrogging," said Bill Berutti, president of enterprise solutions for BMC. It's a bold claim, since BMC has plenty of competitors. Companies competing in the market for IT services management and related software, in addition to ServiceNow, include CA Technologies, HPE and IBM. "Our focus is IT operations management and IT service management, the core of how how you manage your data centers, your private cloud, your public cloud, how you make sure they they perform at a high level of effectiveness and that costs are managed optimally," Berutti said. Helix Discovery is designed to let businesses discover and locate applications, IT assets and services across on-premise and cloud environments. Helix Remedy is aimed at IT service desks and uses machine-learning, including IBM Watson technology, to automate classification, assignment, and routing of incidents. It works with infrastructure provisioning software like BMC's own BladeLogic Server Automation tool to allow IT personnel to, for example, schedule and spin up new AWS instances. Helix Business Workflows uses a drag-and-drop interface to let nontechnical line of business managers automate workflow among different applications. Helix Digital Workplace taps IBM's Watson service among other technology to allow developers to incorporate automated, conversational chatbot capabilities into a variety of end-user applications. Helix Innovation Suite is a microservices-based application development environment for the creation of customized applications and user interfaces. 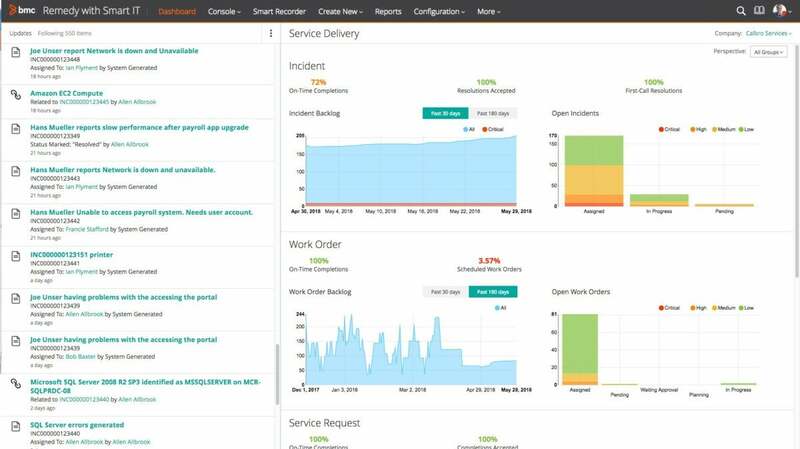 The BMC Remedy dashboard lets service desk personnel monitor multiple workflows simultaneously. The BMC Helix CSM suite also works with other software from the company, including TrueSight Cloud Cost Control and SecOps Policy Service, to allow enterprises to fine-tune their ability to predict and manage the costs of running infrastructure, services and applications, and apply security policies to these assets. While BMC has been modernizing the whole range of its offerings, the Helix suite is a flagship application for the company. "Helix is another powerful proof point and is a bit of a cherry on top of our strategy because it addresses the challenge our customers have of managing IT services in an environment being disrupted by fast-paced devops and public cloud," said Berutti. Pricing for the suite is based on a consumption model. Depending on the module, it's priced per user, per asset, or number of chats that take place. BMC's journey as a private company hit a milestone last week when it announced that it was being acquired again, this time by investment firm KKR for an undisclosed amount. BMC is profitable and Berutti does not foresee a big change in strategy, saying among other things that under KKR the company will be looking at mergers and acquisitions to broaden its portfolio. The company will, Berutti said, "continue to disrupt the market from a private company perspective, which of course is easier to do when you're not on the 90-day treadmill of public scrutiny" of quarterly financial reports to shareholders. BMC Helix Cognitive Service Management is available now.